We want you to have the best. 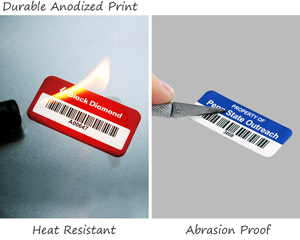 Embedded print within the aluminum on metal asset tags makes these highly durable and guaranteed to last. A high-bond adhesive fuses permanently to most surfaces. • World’s top-selling brand, field-proven for over 30 years. Browse our best-selling designs. • For more options and designs, check out the rest of our templates. • Guaranteed best pricing online. 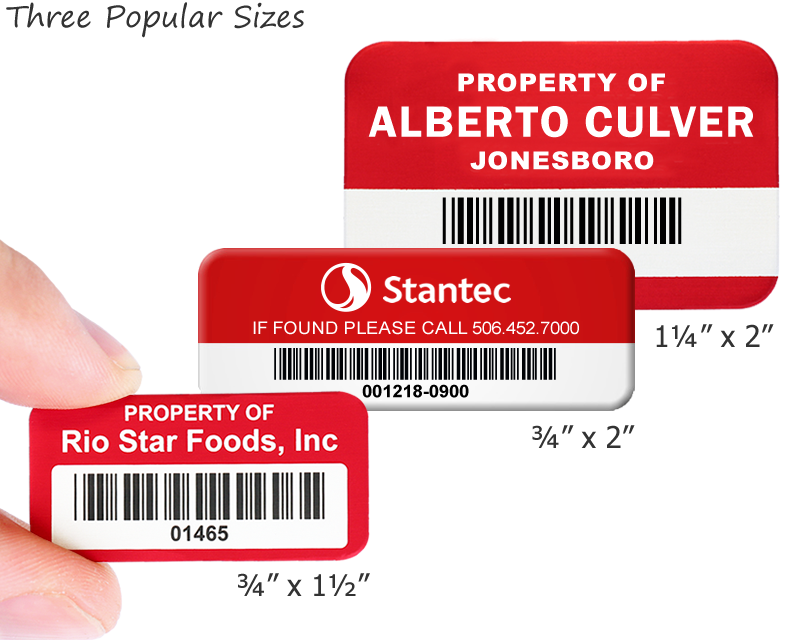 Upload your logo and we'll convert it to your tag for free. • Working with curves? 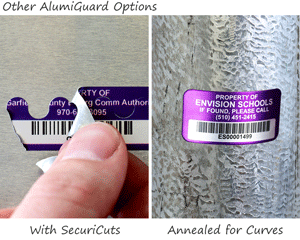 Try PlioGuard asset tags made from annealed (flexible) aluminum. 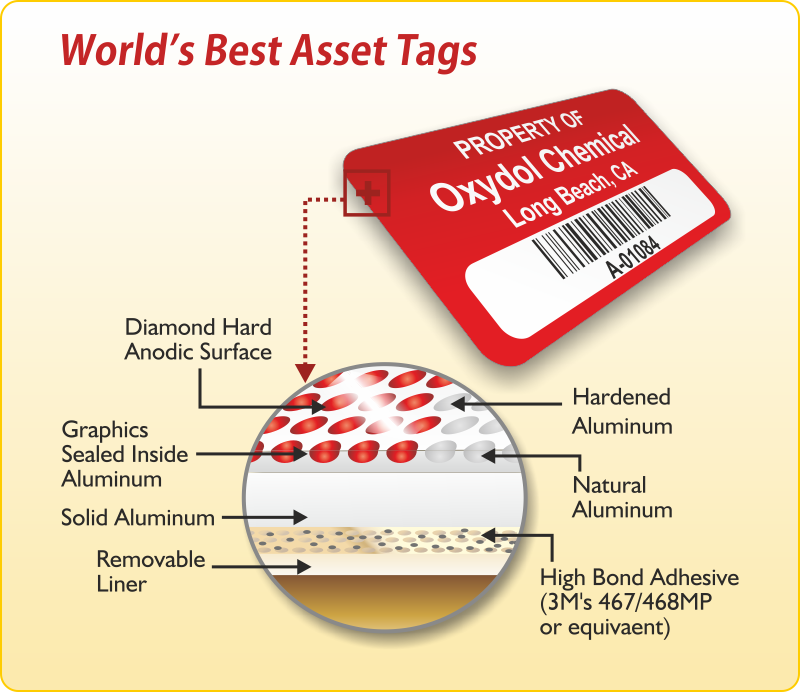 Learn why asset tag professionals specify anodized aluminum tags. 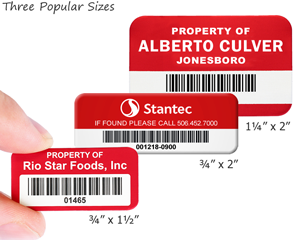 No tag is tougher. See torture tests. 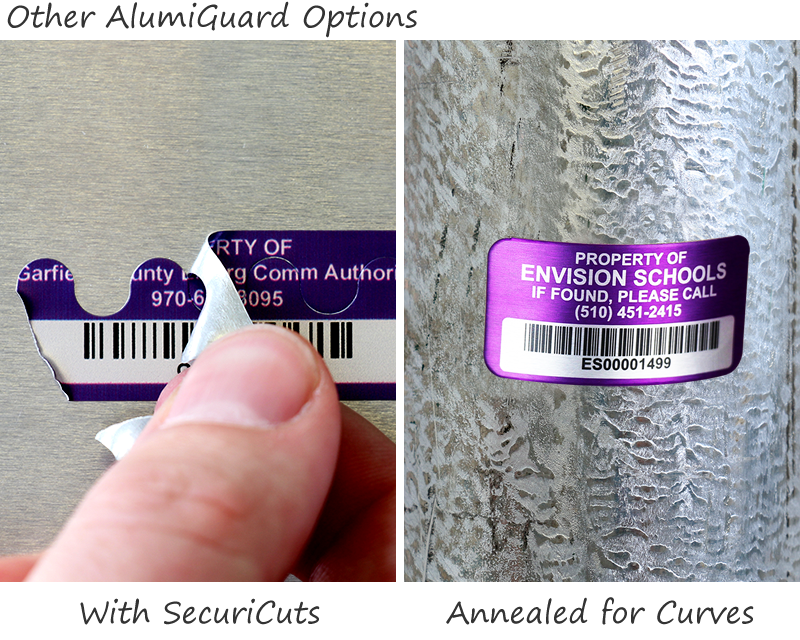 Quick overview of AlumiGuard features and then watch a quick walkthrough of our design wizard. 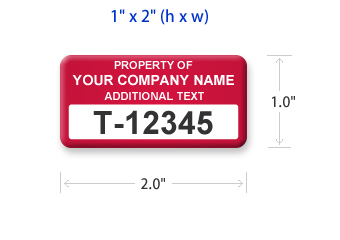 0.75" x 1.5" 0.75" x 2" 1" x 2"
1" x 2.625" 1.25" x 2" 1.25" x 2.75"
Very easy to order, very fast delivery. My order was perfect and the labels came quicker than I expected. This is the place to get if you need a good product and a bonus quality software solution! 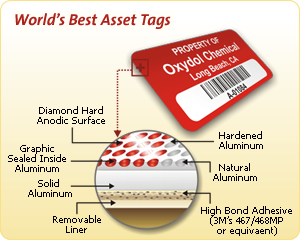 Tags are good, but what sold us was the included software. Good software for a free add on. Good job guys. Seem to be made well. I would like more than one cut, but it works.